There are 6 aperture blades designed to be almost a full circle when aperture is closed which expresses starlike ray clearly and beautifully in deep depth of field images. 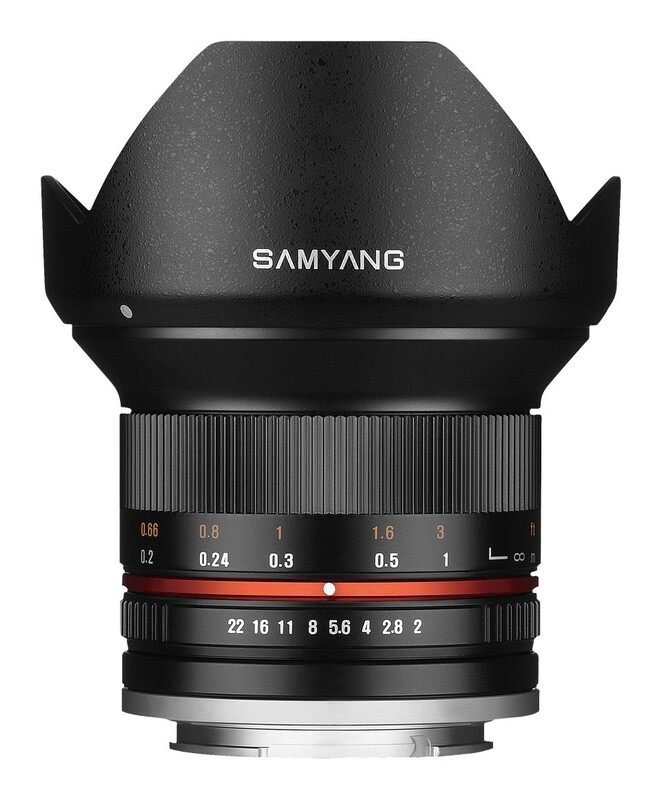 The frame of Samyang 12mm F2.0 NCS CS is compact and solid since it is made of high-strength aluminum alloy. Trustworthy images can be captured even under inferior environment. Also, petal-shaped lens hood to shelter lens from unnecessary light is provided.